Due to the change in the Indianapolis 500 race schedule, the Victory Banquet scheduled for tonight will be "come as you are" right from the track. Tickets that have not already been picked up will be held at the door of the Sagamore Ballroom at the Indiana Convention Center. The Bank One Rookie of the Year reception is still scheduled for 5:15 p.m., with the Victory Dinner following at 6:15 p.m. The rookie reception is in the Serpentine Lobby on the second floor. 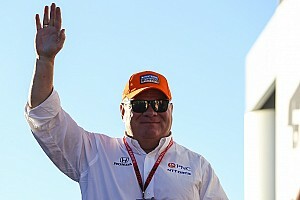 Chris Economaki of National Speed Sport News is witnessing his 50th Indianapolis 500. He got permission to delay final exams as a senior in high school in Ridgewood, N.J., in 1938 to come to the "500." He returned again for the 1948 race, again in 1950 and every year since. He covered the race for the paper for the first time in 1948, did the first theater closed-circuit telecast and for ABC Sports in its first "500" telecast. Weather from WXIN-59 at 8:47 a.m.: Temperature is 52 degrees with northeast winds at 16 miles per hour. Forecast is cloudy and cool, chance of sprinkles this morning, 40 percent chance of rain this afternoon. Robby Gordon finished 41st, out after 186 laps because of an accident, in the Coca-Cola 600 at Charlotte Sunday night. The race was won by Jeff Gordon. The winner's photo session has been rescheduled for 9 a.m. Friday at the start/finish line. 10:02 a.m. Engine warmup 10:35 a.m. Call for drivers to get in cars. 10:40 a.m. Track temperature from Firestone tire engineers was 82 degrees. 10:46 a.m. Temperature was 58 degrees with winds out of the east at 16 miles an hour, gusting to 20 mph. 10:51 a.m. Mari Hulman George gave starting command, "Lady and Gentlemen, Start Your Engines." 11 a.m. Temperature was 65 degrees and track temperature 85 degrees, according to Firesone tire engineers. The three pace cars at the head of the field were driven by John Gatt, product manager for Aurora, yellow-light pace car driver Don Bailey and three-time Indianapolis 500 winner Johnny Rutherford. The cars driven by Gatt and Bailey pulled off the course after the first parade lap, leaving Rutherford to pace the field for the start. First Parade Lap #40 Miller sideways and continued, Turn 4. Second Parade Lap #54 Vitolo engine sour on front straightaway. Pace Lap YELLOW, #17 Giaffone, #4 Brack, #77 Gregoire tangle in fourth turn before the start. All three drivers uninjured, examined and released from Hanna Medical Center. #54 Vitolo to pits, engine off. First Caution Lap, Second Caution Lap prior to green -- field aligned behind pace car. Third Caution Lap #22 Greco to pits for tire change, #33 Velez to pits. Fourth Caution Lap #30 R. Groff stopped on backstretch, no power. $54 Vitolo returned to track. #91 Lazier pitted quickly to top off on fuel, returned to track. #16 Schmidt smoking in Turn 1, continued. #1 Durant pitted, returned to track. Fifth Caution Lap #8 Sospiri to pits, topping off on fuel. #16 Schmidt to pits, out, engine. Pits closed. #30 R. Groff restarted from pits. Lap 1: GREEN. #2 Stewart leads into Turn 1. GIAFFONE: I really don't now what happened...just ran out of space. I think Kenny (Brack) got off his line. It's a real disappointment to the team." GREGOIRE: "I was on the bottom, I was runnng my line. Giaffone touched me and then I went right into the wall. All of us do not know what happened." Lap 3: Leaders #2 Stewart, #5 Luyendyk, #3 Buhl, #42 Gordon, #27 Guthrie. Lap 4: #34 Zampedri to pits, driver out of car. Tony Stewart became the first drive to lead the opening lap of the race in back-to-back years starting with his rookie year. The year 1997 marks the third staight year that the field took te green without a full compliment of cars. The last time an accident occurred before the start was in 1992, when pole sitter Roberto Guerrero spun and crashed exiting Turn 2 while warming up his tires on the parade lap and Phillippe Gache spun in Turn 4. Lap 7: #27 Guthrie to pits. Lap 10: SECOND YELLOW, #72 Bourbonnais smoking down front straight. Average speeed: 199.904 miles an hour. Lap 12 : Moisture reported at south end. Leaders #2 Stewart, #5 Luyendyk, #3 Buhl, #42 Gordon, #8 Sospiri. BOURBONNAIS: "The engine just blew. We were at the corner of (Turn) 4." ZAMPEDRI: "Timing chain broke." Lap 13: #27 Guthrie crew reports baffle pulled loose and caused engine problem, crew trying to repair. Moisture reported around course, YELLOW continued for moisture. SCHMIDT: "It was something in the motor. I don't know what but it was blowing water out of the left bank. It was fine the first few laps. The pressures looked okay." (Disappointment? ): "We had a good chance at finishing the race and a good shot at Rookie of the Year." Lap 15: RED FLAG, rain intensifies at south end. Cars to pit road in single-file order. (11:33 a.m.). Average speed: 131.813 miles an hour. Official reasons out: #16 Schmidt, engine; #34 Zampedri, oil leak; #4 Brack, accident; #17 Giaffone, accident; #77 Gregoire, accident. 11:34 a.m. Cars released to pits, crews may perform work on them. 11:45 a.m. #27 Guthrie engine started in pits. DRIVER QUOTES DURING RED FLAG: TYCE CARLSON: "Everything's going well for us. I'm a veteran now." KENNY BRACK: "I really don't know what happened. I got knocked out from behind. I was keeping a level pace with the cars in front. I would like to see a replay and hope with the team working hard, we'd like to get back in this race." The last driver prior to Tony Stewart (1996-9) to lead the opening lap in bac-to-back years was Emerson Fittipaldi in 1989-90. This is the third straight Indy Racing League eent that Tony Stewart has led the opening lap. The last time a red flag was displayed because of rain was in 1976 on Lap 103. Johnny Rutherford was declared the winner with the lap count reverting back to 102 laps completed. At this point, #97 Ray has made most advancement in field, from 30th starting spot to 17th after 15 laps. Tony Stewart led 44 of the 82 laps he completed in 1996 before dropping out with engine problems. Stewart has led all 15 laps completed so far today. The second-year driver has led a combined total of 59 out of the 97 laps he has completed to date in the last two years. 12:35 p.m. Cars released from pit road to garage area. GREG RAY (#97 Tobacco Free Kids): "Wet. We're doing fine. We're not going to qualify so far back next year. It's like Desert Storm. I have tons of sand inside the car." 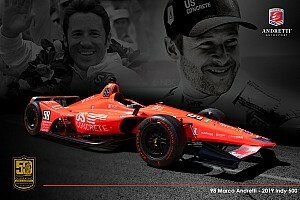 PAUL DURANT (#1 Conseco AJ Foyt Racing): "The car feels pretty good. It's a little tight, like we expected it to be. We should be able to get it the way we want it to be." MARK DISMORE (#28 Kelley Automotive Mechanics Laundry Bombardier Grainger): "The car is very good. We're real happy. We're going to keep creeping forward at a decent pace and move up." DAVEY HAMILTON (#14 AJ Foyt PowerTeam Racing): "We're all right. Once we got off, it was ok. The car was pretty good. Started eighth and stuck in there. It's comfortable and we're going to be there at the end. I like these cars better than the other ones. I enjoy racing in traffic. We've made a few changes with this red flag." JIM GUTHRIE (#27 Blueprint/Jacuzzi/Armour Golf/ERTL): "The car overheated and the oil temperature went up. We just wanted to get some water in it and try it again. We were ready to go back out when the rain came. We'll be ready to go again when it stops raining. I have a question: Has anyone ever won the race from seven laps down?" TONY STEWART (#2 Glidden/Menards/Special): "There's no use in getting psyched about it. We just need to sit back and wait like everybody else." BUZZ CALKINS (#12 Bradley Food Marts): "We're gonna make a couple of changes right now. I'm not going to force or push anything. I'm just gonna go with the flow." ROBBY GORDON (#42 Coors Light): "Hopefully, this rain will go away and we'll be able to put on a show for the fans. My car was really hooked up. The car is really, really good in traffic. As soon as I knew we could run at their (Tony and Arie) speed, we started cruising." ARIE LUYENDYK (#5 Wavephore/Sprint PCS/Miller Lite/Provimi): "It's too bad we didn't get a good start, because it cost us a lot of laps. The car's working real well. The car's just like it was for qualifying. It's just where we want it to be." STEVE KINSER (#44 SRS/One Call/Menards/Quaker State/St. Elmo's): (about comparisons between Indy 500 and World of Outlaws): "After 15 laps, we'd be half way through the race now." (about the accident on the Pace Lap): "I just saw the cars get tangled up." BILLY BOAT (#11 Conseco AJ Foyt Racing): "The car is real good. Just taking it easy right now. The car is well-balanced." 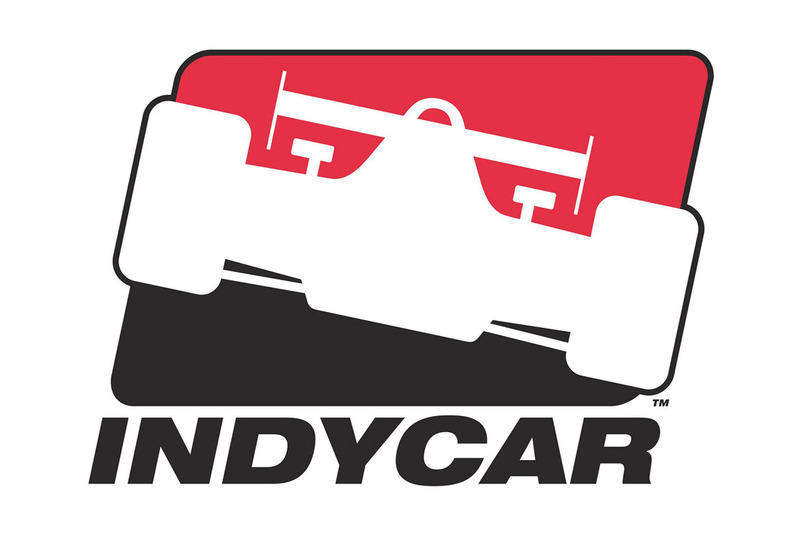 (about the difference between the Indianapolis 500 and 16th Street Speedway): "Even though it's (16th Street Speedway) only four blocks away, it's (Indy 500) a long way from 16th Street." FERMIN VELEZ (#33 Old Navy Scandia Royal Purple Alta Xcel):(about the accident on the Pace Lap): "I got hit by a tire in the first crash in the right front. No big deal. We're going to re- adjust the right front suspension. I saw it, but just when they were hitting the wall. We're doing fine. I hope the rain goes away." PRESS ROOM - PRESS CONFERENCES: USAC Chief Steward Keith Ward made the announcement at 2:15 p.m. over the public-address system that the race was rained out until 11 a.m. Tuesday and will continue on a "next raceable day" basis. Gates open at 7 a.m. Tuesday. ABC Sports will televise the race live. Six cars have been eliminated from the race: #77 Gregoire, #4 Brack and #17 Giaffone, accident; #72 Bourbonnais, engine; #34 Zampedri, oil leak; #16 Schmidt, engine. The 29 remaining cars will start single file with a minimum of two yellow laps (that count) prior to the green. KEITH WARD: "There was absolutely no way we can get this track in shape to run the race. It will be 11 o'clock tomorrow with the same schedule as today. That's our plan right now. If we can't get it in tomorrow, it'll be the next day, or the next day after that until we get it done. I'm a little frustrated like everyone else. I know it's hard when all you guys get pumped up and ready to go, then when things don't go right, it deflates everything a little bit. I hope we can put a good show on tomorrow." (About work that can be performed on cars): "They can do anything they want to but they can't change major components like an engine or add oil." PAUL DURANT (#1 Conseco AJ Foyt Racing): (about the accident in Turn 4): "I have no idea." (about run the race): "It would depend on when their is nice day. I want to run when you don't have to fight the elements." (about run it next Saturday): "It is not my call. It could cause a lot of juggling for a lot of the teams. (about your frustration): "It is frustrating once the race gets started not to finish. We are all in the same boat and we all have to deal it. What can you do ... just wait it out." (about the car): "Surprise the car still is a little tight, but things are feeling good. We are still running a conservative race and we will still continue that when we run it again. MIKE GROFF (#10 Jonathan Byrd's Cafeteria/Visionaire/Bryant): (about the start): "I'm very pleased with the red. The car was misfiring with the engine. When the accident took place in Turn 4, I was in the warm-up lane running just a little over 50-60 mph. It was just enough to stay out of all the debris. It has given us time to work on the car." (About the pace-lap accident): "It looked to me that everyone was very tight and low. Whoever it was wasn't using the full track. I don't know who caused it. I was coming in to the pits. I didn't get close to the parts flying. I was just staying out of the mess. (About rescheduling): "We just want to get it in. It's up to the IRL." (About the start): "Misfired...we had a major problem. I didn't know we were smoking. I could hardly stay up to the pace of the pace car." (About temperatures): "I believe the track temperature was 82 degrees, which is pretty low. We haven't run that much with those temperatures. I noticed a lot of loose cars out there. Actually, there was an accident with Dr. Jack Miller. He lit up his tires and almost hit the inside wall. He was about a foot away, but he didn't hit it." (About the rain): "You could tell before the race started. I've never been on this track in this situation." (About his brother): "He was still behind me. He had an ECU (electronic control unit) problem, which is a black box that can cause so many problems. He got back and it doesn't look like he was misfiring." ROBBIE BUHL (#3 Quaker State/Special): (about an incident with Robby Gordon): "There's not too much of an incident. 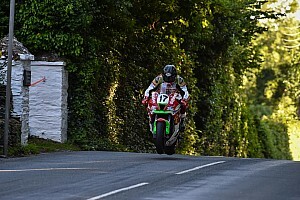 It's a long race or we're hoping it will be if we can get going." (About rain): "We wanted to get on with the race. We've been prepared all month. The rain is here but can I wait till it gets better? Yes." STEVE KINSER (#44 SRS/One Call/Menards/Quaker State/St. Elmo's): "I'd just soon run as soon as we can myself. . . . I guess a few more days isn't going to bother me. (On running World of Outlaws also) "This comes first as of right now. We're supposed to be out back East. We're going to be here when they throw the green flag again. (On moving up in field) "The one row took themselves out. We passed a few cars, just sort of feeling the car out. (On start) "Well, back where I was at, it looked like everyone was being conservative. Once everyone got past the green, everyone seemed to be real careful. (On family connection on team) "Owen Snyder (the crew chief) is my brother-in-law. Randy (Kinser) is on it, he's doing the tires and things." CLAUDE BOURBONNAIS (#72 Blueprint/Jacuzzi/Armour Golf/ERTL): (about the start): "Zampedri dropped out before the start and I moved up to the hole there. I went to gas it and they waved the green. I didn't do a banzai run. I wanted to go to the first pit stop and get the beat of the race but I didn't get a chance to get there." (About the engine): "I ran four days on the engine and I qualified with it. This was rebuilt, supposed to be better, then 15 laps and boom!" (About his first "500"): It was fun but the engine kind of put a damper on it." JIM GUTHRIE (#27 Blueprint/Jacuzzi/Armour Golf/ERTL): "We had an overheating problem around the seventh lap. We added some water. We got back up to speed, and the red came out. We are lucky that we are only seven laps down, we were working on it during the caution. The car is fine now. Does anybody know when the last time was that somebody won from 7 laps down? (A member of the media volunteered the year 1912, unconfirmed.) (On the team's cars) "We each had a different problem. Sam had a gasket go and Claude, a (engine) block problem and I simply had an overheating problem. My goal is to finish in the top ten and I would really like to finish in the top five. The engine is running sweet. We didn't run it enough to find out about the heating problem. (Race strategy) "Because of where we are, you simply find the sweet spot in your car and run there. So you run there, don't make a mistake, and make it to the front. We are still in it for the points. I still know that we have a car that can win. (On frustration) "It's hard. You can get on a 500-mile game face, and then you have a letdown. This is just racing. You have your ups and you have your downs. So this is just part of it. You just have your up and now you wait. (On team) "The guys are pretty happy about the 5:00 garage opening. They've been getting up at 3:00. They're a bit worn out. " JEFF WARD (#52 FirstPlus Team Cheever): "This holding pattern is frustrating but at least the anticipation of the start is over. I'm ready to race now. Most of all, I need to be consistent. It's a long race." (About the pace-lap incident): "I don't know. It (the pace lap) looked conservative to me. We talked about trying to take care of one another. I don't know what happened. My row looked pretty even. Everybody coming into the pits under yellow was my biggest problem." DR. JACK MILLER (#40 AMS/Crest Racing/Trane/Spot-On): "To begin with, I started off by making a mistake. I shouldn't have had the wheelspin. After I got the car going straight and myself under control, I did exactly what we had planned. I held my line. I knew Boat and Ray would come up on me very quickly and I just wanted to maintain my position for the first 50 laps." (About the pace-lap incident): "I came around the start and saw the inside and outside car touch (meaning middle and outside cars). I knew it was trouble. I'm not sure if it was three cars or not but there was definitely enough room." ROBBIE GROFF (#30 Alfa-Laval/Team Losi/McCormack Motorsports): "I was surprised how quick I caught up to everybody. (On rescheduling race to Tuesday) "It's good for me that everybody's packed up again. (On problems with car during first 15 laps) "We're really fortunate to get the car restarted because it totally lost power on the last pace lap. We changed all the electronics and it ran fine. (On being 1 lap down for restart) "We're going to work as hard to make up the lap as we can." TYCE CARLSON (#18 Klipsch Tnemec Overhead Door Pyle V-Line Earl's): (On running tomorrow) "We're happy with the decision. We're kind of in a momentum, even with a two day delay. Waiting even longer might break that momentum. (On first 15 laps) "The car felt really great. We're just taking an easy but racy pace. We want to be there for the last 200 miles to show everyone what we've got. NOTE: John Paul, Jr., PDM's primary driver, who was injured in a May 9 accident, called the PDM garage from his home in West Palm, Florida, and was not aware of the rain delay and subsequent rescheduling of the race. A PDM crew member told Paul, Jr. if the race continued to be delayed any longer, he might be cleared to drive. Tyce Carlson remarked, with a grin, "Like hell!" MARK DISMORE (#28 Kelley Automotive Mechanics Laundry Bombardier Grainger): (On running Tuesday) "Yeah, I think they made the right decision. We all want to get this race going. I feel badly for the spectators, though. A lot of these fans won't be able to come back tomorrow, or Saturday, had the race been run then. (On first 15 laps) "The car felt so good it's scary, it's almost a perfect race car. It's real predictable for the circumstances (weather). After 50 - 60 laps, when we get rubber laid down, hopefully we can adjust the car to get it even closer to perfect. " 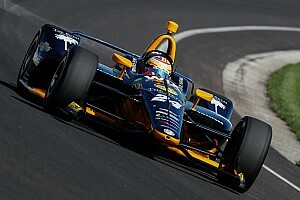 ROBERTO GUERRERO (#21 Pennzoil-Pagan Racing Dallara Infiniti): "I've been here many times. In '86 when it rained out Sunday and Monday ... I've never actually been in the race when it rained. It's a real shame for the fans, really. For the fans and the people who come from out of town it's really tough. (On pace lap accident) "I've been in that position. It happens and it's very unfortunate. But you know it happens and yeah I'm happy (that I wasn't involved). (Do you remember the '86 rainout) "It's quite amazing how quick you forget. I remember it being a nightmare when it happened. . . . Afterward the race goes down in the records and you forget. (Emotions on restart) "Absolutely it's tough. Today, obviously the race started going. You have to build yourself up. It's tough. The restart will be much easier because we'll be single file instead of three abreast. " LYN ST. JAMES (#90 Lifetime-TV-Cinergy-Delta Faucet-Hemelgarn): (about the race so far): "I saw the incident on Turn 4. I was at (Turn) 3. I called it in on the radio but I don't know what happened. It reminded me of '92. We all knew tires had to be up to temperature. It's unfortunate if they weren't. If you're on the throttle, it has reasonable torque and RPM. I was hoping that wouldn't happen but it's too late." (About when the red flag was thrown): "We weren't sliding but I had water on the visor. In the past, they would have thrown the yellow sooner but there was no standing water on the track. We were hoping the water wouldn't settle but no, it wasn't too late." FERMIN VELEZ (#33 Old Navy Scandia Royal Purple Alta Xcel): "When they had the crash one of the tires came up and hit me in the right front tire. . . . I'm glad we're going to run tomorrow. I have another race next weekend Watkins Glen and I already missed another race today in Connecticut. " TONY STEWART (#2 Glidden/Menards/Special): (About the rain delay:) "It doesn't bother me. It's just like yesterday and the day before. 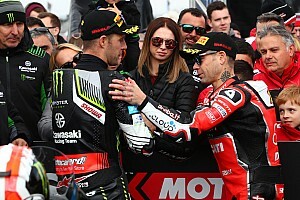 That first 15 laps, more than anything, we got to treat like a practice session...With the exception of Arie trying to squeeze Vincenzo and me to the right, it was pretty uneventful." (About Sospiri following Stewart on the first 15 laps:) "Arie didn't really leave him a lot of room...It was definitely a psyche job." (About the reliability of the engines:) "We have had pretty good reliability this month. We have over 500 miles on three motors. We have not had one problem, knock on wood, the whole month of May." (Is it any different leaving the track knowing that you're going to start tomorrow in 1st place?) "No different than I would if I was 33rd. I won't do anything different than I did last night...It's kind of like reading a book, really. You read until Page 15, stop, eat dinner or something and pick it up on Page 16...If anything, I feel better now that we've had a practice." (About taking the lead from pole sitter Arie Luyendyk:) "He's trying to play hardball with someone who plays hardball 106 times a year instead of five times. It's like trying to B.S. a B.S.er." (How did you pass Luyendyk?) "Pretty easy and very quickly...I hadn't planned on leading early, really, but it kinda made me mad, so I wanted to make him pay." (Will Arie's psyche job be a factor in tomorrow's race?) "No, it's a dead issue, it's gone. No harm, no foul." ARIE LUYENDYK (#5 Wavephore/Sprint PCS/Miller Lite/Provimi): (about the start): "The only reason he (Stewart) passed me was my spotter told me there was a blown engine in Turn 4. I got out of the throttle actually pretty good, quite a bit. That's why he got a good run at me. It was not a big deal to me to lead the first lap. I don't know what he's reacting to. He (Stewart) feels he's right in what he's saying and obviously I don't agree. I was on the pole here before and I was pinched in Turn 4, almost down to the grass and I wasn't going to let that happen again. At the same time, I didn't put them (Stewart and Sospiri) in a bad position."